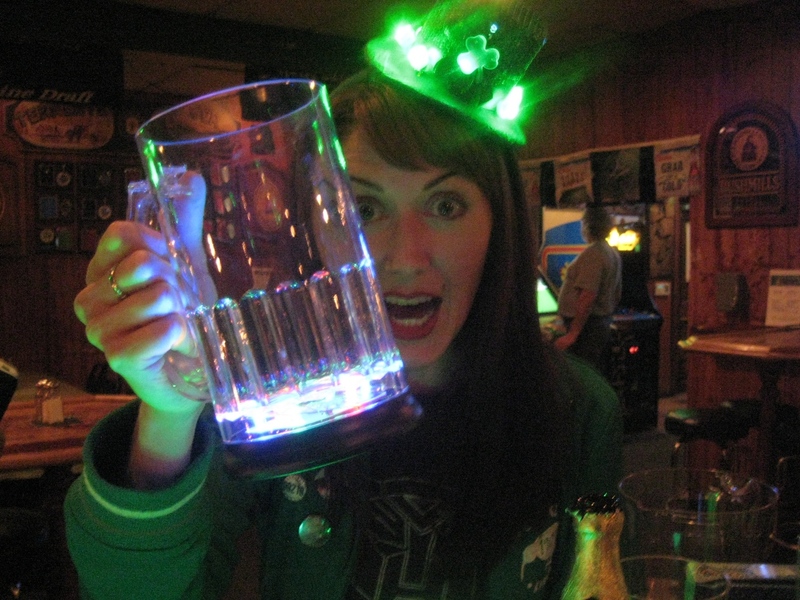 St. Patrick’s Day: Stop Stealing From Leprechauns! We beg you, stop stealing from Leprechauns, you’ll only make the little guys sad. We have everything you need and more this St. Patty’s Day. 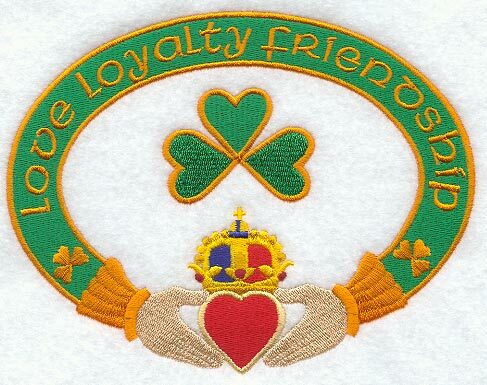 Erin go bragh, lads & lasses. Translation: IRELAND FOREVER. Can I get a cheers to that? For some, Irish pride & joy is an everyday thing, so the subject of Irish party favors may need no introduction. For the rest of us, there’s St. Patty’s Day, that glorious 24 hours in which EVERYone is Irish, and oooh the light up wonders we have in store for yeh! Let’s get this Irish party started. First thing’s first: BEER. Pints. Brews. Bubbly goodness, etc. This is essential for Irish party time. 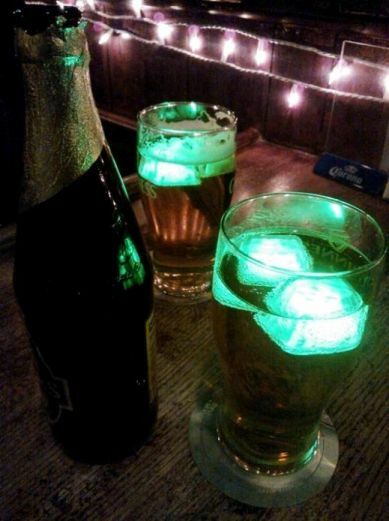 For starters, check out our green LED Inspiration Ice Cubes. They’re small & lightweight, therefore cheaper to ship, plus easy to toss a box of 12 in your purse before heading to the pub. Sharing is caring! 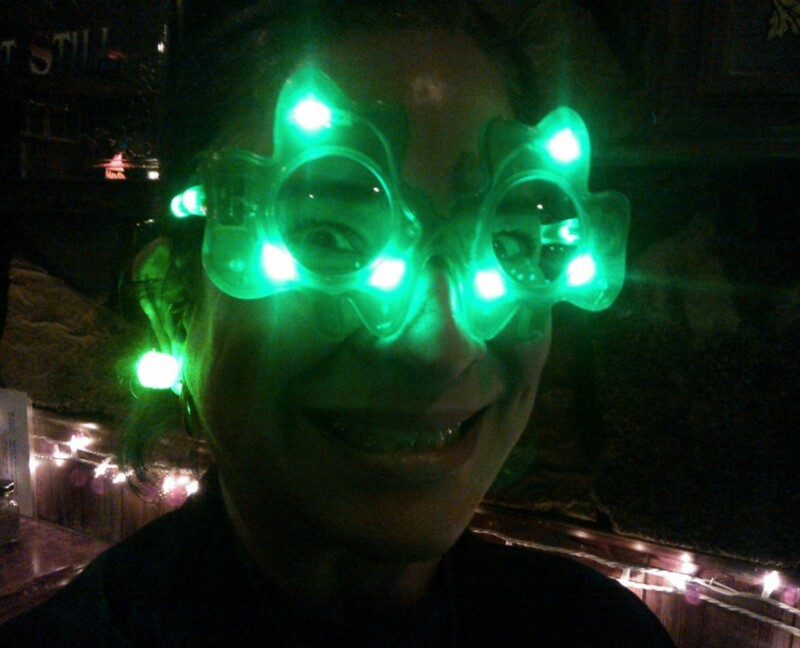 Green Light Up “Ice” Cubes are an absolute must for your Irish party and this lass right here won’t leave home without ’em. 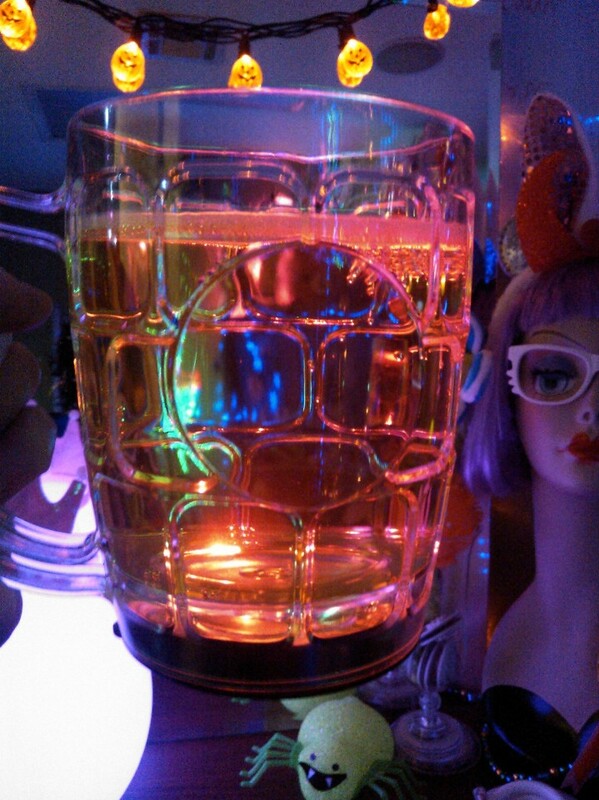 The Sporty Mood Lit Mug. 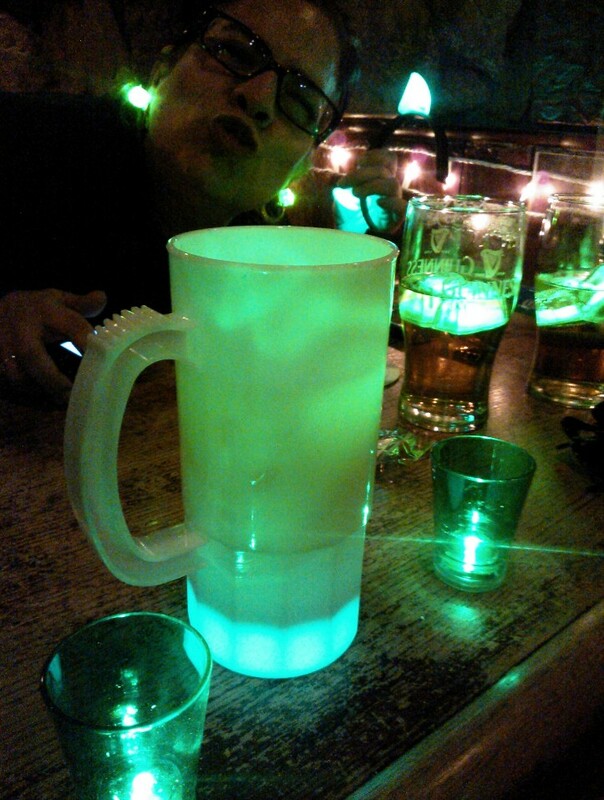 Tall & slender with opaque plastic, this beer mug has a unique glow goin’ on, AND you can change it’s color with every click of the button actually, from steady green, to steady blue, to steady red, and so on. NO flash, but it does have a cool color changing function, my favorite. The Traditional Beer Stein. Nice & roomy, holds 28 ounces filled to the brim. Has flashing rainbow LEDs that shine like disco lights & go all night long. Holy moly look at this thing! Serious party glass! Chug-a-lug! The Twinkling Tavern Mug. Shorter, rounded & with multicolor circling lights in the base, so the LEDs aren’t as extreme as above party mug, yet still eye catching. Also gotta perfect little spot in front to print your logo. PHEW, what a mouthful. 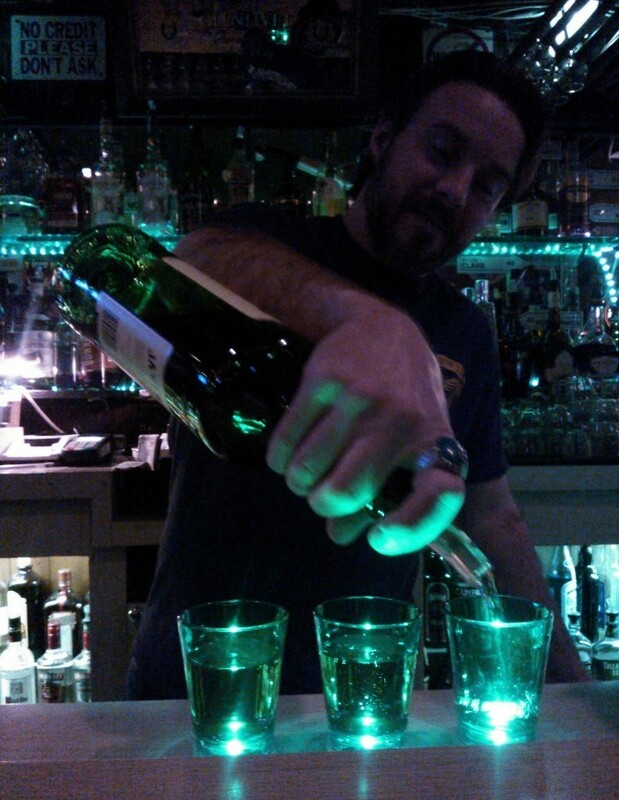 *burp* Lastly, top it all off with some tasty green shots for your Flashing Blinky Crew & get jiggy with it. 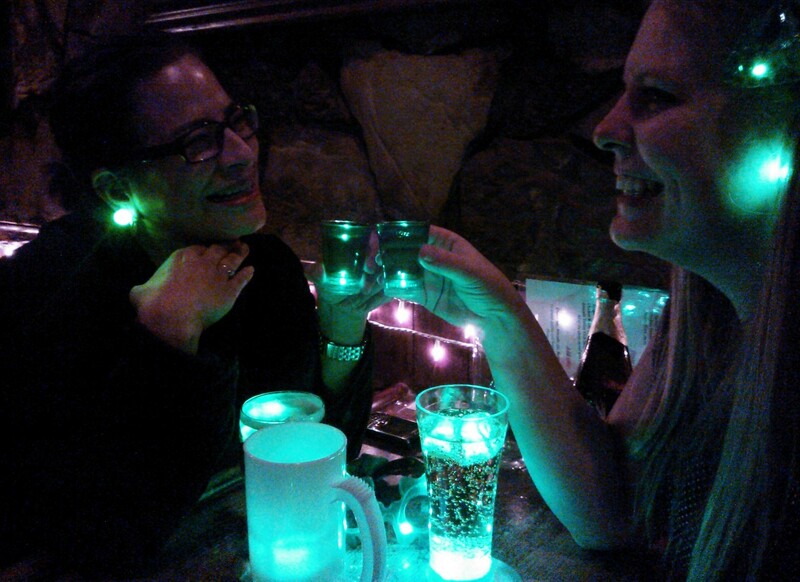 Light Up Green Shot Glasses are also available on green bead necklaces, for the hooligans in the house mustn’t lose their Holy Grail.